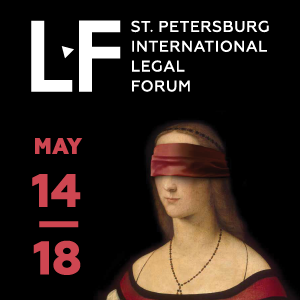 For five days each year, St. Petersburg becomes a legal capital of the world: thousands of legal professionals from all continents come to share experience and discuss the most topical and pressing legal issues. The Forum is an effective platform for dialogue of the state, business circles, and legal community. CIS Arbitration Forum is again an information partner of this event. We are glad to invite you to take part in the IX St. Petersburg International Legal Forum. III International Insolvency Forum, due to take place as part of the IX St. Petersburg International Legal Forum, once again promises to serve as an unrivaled platform bringing together insolvency professionals from around the world. They will include executive government officials, lawmakers, judges, court-appointed receivers, attorneys, academics, entrepreneurs, and envoys from numerous international institutions involved in matters of insolvency.